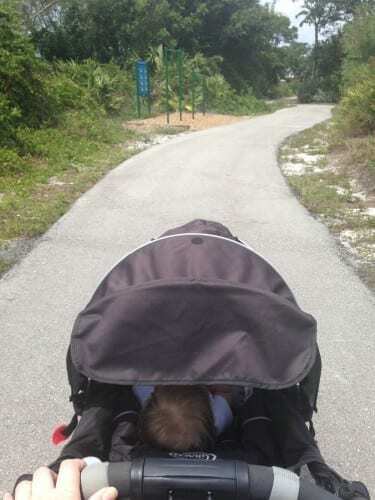 Let’s talk about Patch Reef Park in Boca…but first: I really miss throwing all of my baby gear into the basket under the stroller, walking out of my apartment and powering along the paths of Hudson River Park in NYC (in the spring/summer, obvi) with beautiful city views and #dailybabyavery smiling in the sunshine! The reality was that I had to squeeze our big stroller through our tiny apartment door, carry it down a bunch of stairs and then bump it and #dailybabyavery along over multiple broken sidewalks to even get to the park in the first place. It’s easy to mentally block out that stuff. 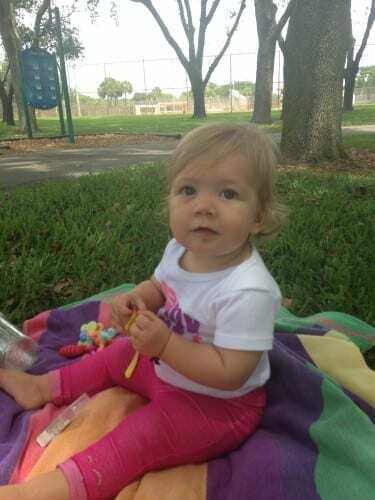 Yesterday, I took my baby to Patch Reef Park in Boca Raton. I had heard through the grapevine that there was a paved, fitness trail at the park, so I threw my jogging stroller easily in my trunk, grabbed a couple waters and a snack and drove the short distance to check it out. No squeezing through doors and broken sidewalks for suburban MBMom! 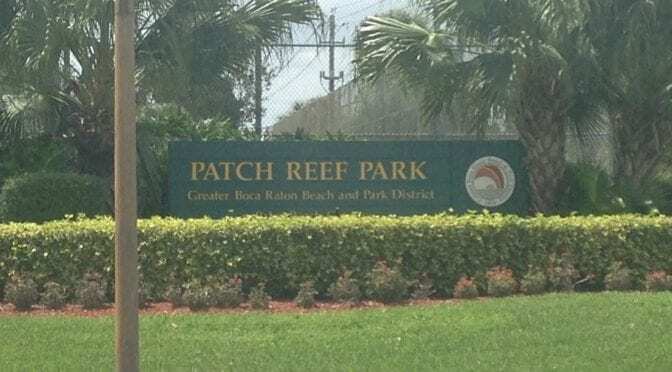 Patch Reef Park in Boca has 55 acres of passive and active recreation facilities. 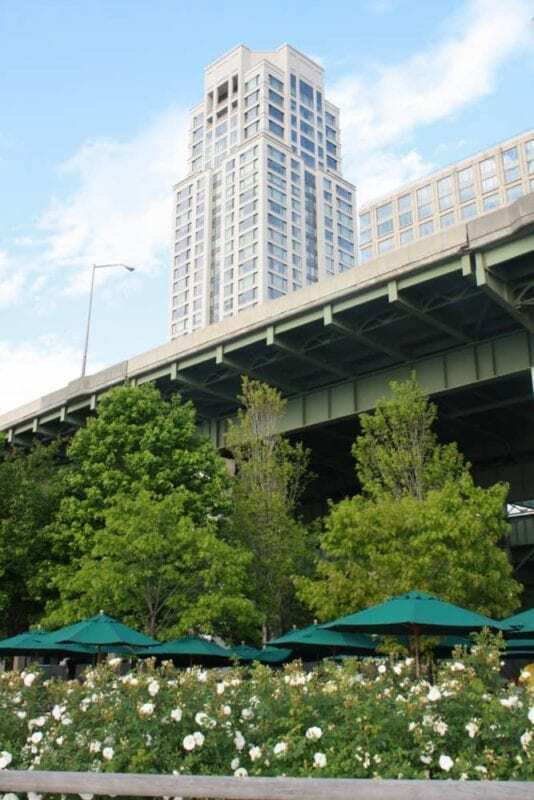 Park facilities include a community center, softball and baseball fields, soccer/football fields, basketball courts, a fitness trail, a children’s playground, picnic pavilions and tennis courts. It was a smooth trail and the majority of it was shaded, so it doesn’t get too hot. I also packed a blanket, so we could stop and play (and MBM could check her emails). 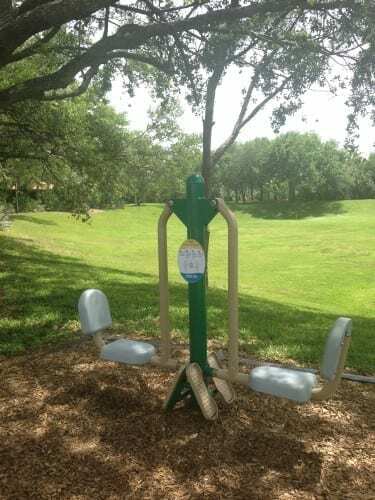 I would love to come back another day with #modernbocadad or a friend to take advantage of the fitness stations. They look challenging (enough), but aren’t intimidating. 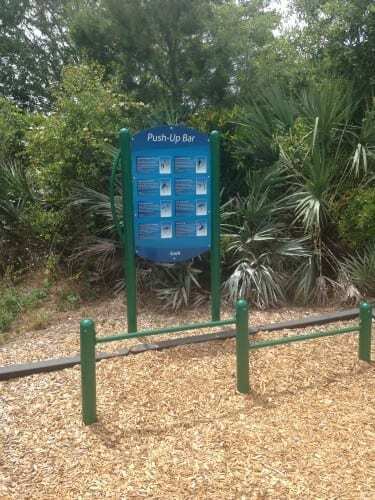 And, it’s a free way to exercise! 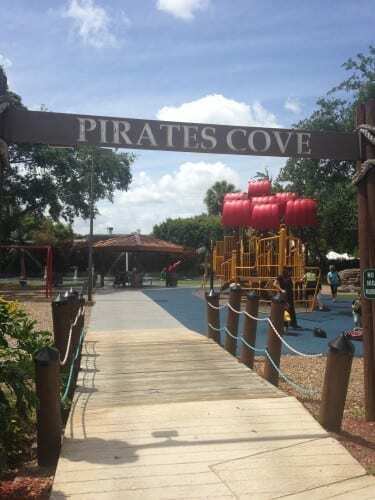 Last but not least, there is a killer playground called Pirate’s Cove with water features. It was built on a bouncy, cushioned, poured-in-place surface. I know that Avery will love it when she gets older! For my tennis aficionados, I checked out the programs that Patch Reef’s Tennis Center offers for kids. These are the two classes that really stood out to me. Cardio Tennis for Kids and they even have a Mommy and Me program for children 2-5 years old. How cute would that be? Where do you even buy a tiny tennis racket? It was a great day in the park! Now it’s time to hear from Modern Boca Moms: What’s your favorite park? Post in the comments below! Previous PostThe Great Party Invite Debate: Paper vs. Online Party InvitationsNext PostHave You Taken a Boca Raton Flywheel Class? Great article! I love Patch Reef and I didn’t know they had mommy and me tennis! Wish it were on the weekends….